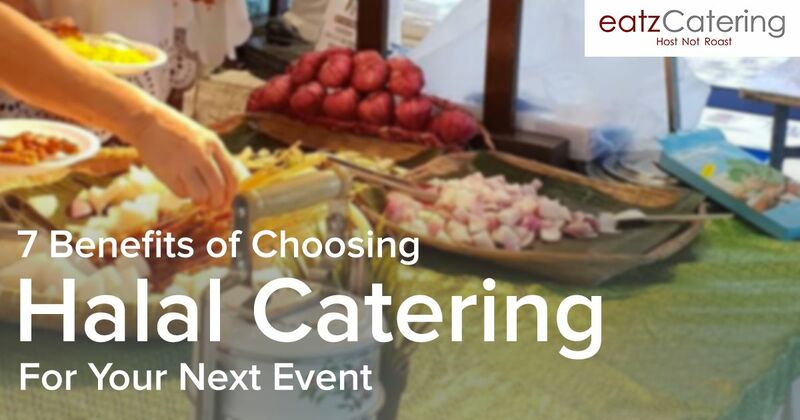 Have you ever wondered about the benefits of choosing halal catering for an event? If you’ve never considered such an option in the past, the time may be right to make the switch. For those of you who aren’t aware, halal food refers to a dietary standard as prescribed in Muslim scriptures. In Arabic, the word halal means permissible. Thus, halal refers to the types of food and the preparation methods that are allowable and deemed good. Companies can become halal-certified when they meet a specific set of food preparation requirements. But what are the benefits you’ll get to experience when you opt for foods that have been created in a halal way? Today, we’ll take a look at some of the biggest advantages. As already mentioned, there are certain methods for the preparation and the cooking of halal meals. As per Muslim scriptures, the consumption of pork, blood and animals that have died in specific ways is forbidden. Halal meat comes from the right species and the animal has to be killed in a specific way. A strict set of hygienic rules has to be adhered to. As a result, the contamination incidence rate for halal meals is extremely low. If you want to ensure the safety of the food served at your catered event in Singapore, a halal service provider will be the best choice. Pork is banned in the case of halal foods. Even if you’re not Muslim, you may decide to avoid pork because of the health benefits stemming from the selection of alternative proteins. Pork is a fatty type of meat in comparison to the proteins that are permissible in halal food preparation. The cholesterol content is high, which means that the regular consumption of such red meat could contribute to an array of cardiovascular problems. Halal caterers in Singapore work with healthy protein choices like seafood, poultry and beef. These are lean proteins, the fat content is much lower and they’re also a source of healthy lipids and minerals. Halal meat comes from certain types of animals. The animals need to be cared for in a specific way, which results in much healthier meat than in the case of standard farming. Meat that is considered 100 per cent halal has to come from animals that are grass-fed, free from antibiotics or given other chemicals. In addition, no preservatives are to be added to halal meat. The absence of such additives and the fact that meat comes from grass-fed animals will increase the health benefits of halal meat even further. Not only that, such proteins result in much more delicious meals. Whether you’re ordering a halal barbeque buffet or more sophisticated dishes that feature a meat component, they will be a lot juicier and the taste of the protein will come through. Halal methods of killing an animal are aimed at causing as little pain and suffering as possible. There are butchers trained in the methods to ensure a quick and painless process. Factory farming is known for the many cruel practices that many people are already turning against. As awareness about standard meat production increases, more and more people are beginning to switch to alternatives like halal meat. If you want to take a stance against cruelty while still benefiting from a high quality Singapore catering service, working with a halal-certified company will be the way to go. Once an animal is killed, all blood will have to drain from the meat before it is declared safe for consumption. This is another aspect of halal food preparation that makes it a lot healthier than the standard alternative. The blood contains many impurities that are best removed. Uric acid is one of them and it can have a negative effect on human health when consumed. High levels of uric acid can result in kidney and cardiovascular problems. its levels are particularly high in poultry so even if you don’t consume red meat, it would still be better to opt for a halal buffet for your next catered event. Getting halal certification is not an easy process. There is a list of requirements that a Singapore caterer will have to comply with in order to receive the certification. Very often, the process will be a lengthy one. Companies will need sufficient time to meet all of the criteria and to ensure complete compliance with the requirements. Opting for a catering company in Singapore that has halal certification means that these professionals will follow the best practices and standards. They will have well-established food preparation methodologies that result in an excellent taste and give you a chance to enjoy the various health benefits. While the halal rules do impose some limitations, there’s still an incredible range of buffet possibilities out there. Just take a look at the menus developed by a halal company like Eatz Catering. There are international dishes, barbecue buffets, vegetarian meals, Asian fusion, Peranakan buffets, tea reception choices and even menus tailored to the needs of children. Chances are that you’ll identify at least one menu that’s ideally suited to the occasion. Don’t hesitate to explore halal options for your upcoming event. Whether you’re about to host a corporate party or a small family celebration, halal catering will give you diversity, quality and an ethical choice everyone is going to enjoy. Eatz Catering is a halal certified Singapore company that has a big number of satisfied customers. We’ve developed a wide array of delicious menus and we’re ready to accommodate for your individual needs. Contact Eatz Catering today if you have additional questions or you’d like to choose some delicious halal food for your upcoming celebration.